From its initial days, the Trump administration has made immigration a major focus. Now, after the issuance of several executive orders, a major escalation in worksite enforcement, increases in border security, heightened scrutiny of visa usage, directives calling for reform of several employment-based visa programs and pending renegotiation of the NAFTA trade deal, employers are trying to assess what the net impact to their businesses may be. Our speakers will review the most significant changes in immigration policy and enforcement that have unfolded since the Trump administration took office, and update participants on the status of ongoing court challenges and key legislative proposals before pivoting to a discussion of what concrete steps and planning employers should have in place to keep their businesses ahead of the curve. Mr. Merrills is the Practice Group Lead for the firm’s immigration group. He concentrates his practice in the areas of U.S. and worldwide business visas and employment-based immigration for multi-national corporations. Mr. Thomas practices exclusively in the area of immigration law. He represents companies throughout the world in securing necessary work visas and representing companies in government audits and investigations. This program is approved for 1.5 HR (General) recertification credit hours toward aPHR™, PHR®, PHRca®, SPHR®, GPHR®, PHRi™ and SPHRi™ recertification through HRCI. 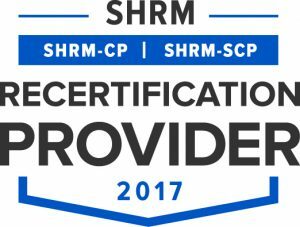 This program is valid for 1.5 PDCs for the SHRM-CPSM or SHRM-SCPSM.